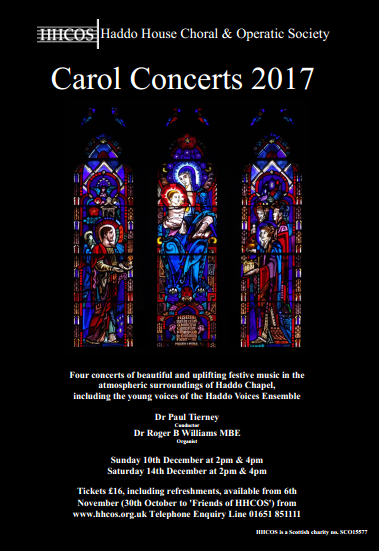 Haddo House Choral and Operatic society will again be holding their ever popular Carol Concerts. Please click on the poster to read the details and how to get tickets. Please book early as these sell out.